Kane "Killer" Kavanagh is the middle son of five, well he is the younger of a set of twins but the younger twin, so he feels like the middle child and he feels like he has something to prove. And winning this up and coming MMA championship would do just that. Nora Hannigan is best friends with Kane's soon to be sister-in-law Fiona. 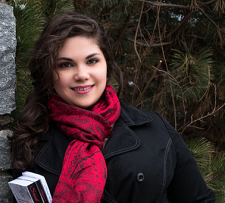 She works at the youth center and goes to college to get her degree. The way that Nora and Kane bicker, you would think that they would avoid each other. But the attraction between them keeps pulling them back together. Can they do the one night stand and move on? Will Nora lose her heart from spending just a little time with Kane? Will Kane break her heart in the end? What happens when Kane has to choose between the championship fight and saving Nora? Keep the Kleenex handy, you will need them. I love this series and each Kavanagh brother seems to be better than the last. I can't wait to see what Sarah Robinson has in store for Quinn. Another great installment in a fantastic series! It can also be read as a standalone. Kane is the middle Kavanagh son and he feels like he’s always being looked over. He’s put all his focus into his career as an MMA fighter and is determined to be the best! Kane has been relentless with his pursuit of his brother’s fiancé’s best friend, Nora. With school and taking care of her mother’s gambling debts, Nora doesn’t have time for a man in her life, especially the womanizing Kane Kavanagh. When the two are in each other’s presence they’re always fighting and Nora truly makes Kane work for it. Their bickering is hilarious and I love how annoyed Nora gets when Kane uses his “Kitty” nickname for her. I spent much of this book cracking up with laughter, it’s very enjoyable. I love that along with Nora and Kane’s fantastic story, we also get to catch up a bit with the other Kavanagh brothers. This is a fast-paced story that you won’t want to put down. I’m a huge Sarah Robinson fan and can’t wait to see what she introduces us to next! For reviews & more info, check out our Saving a Legend post. 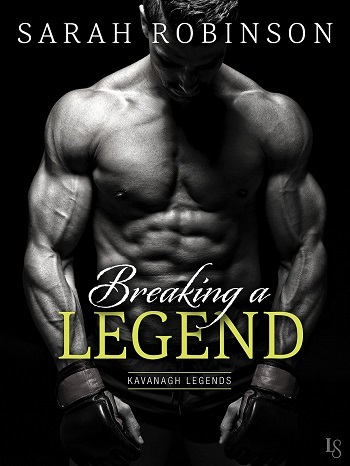 Reviewers on the Wicked Reads Review Team were provided a free copy of Becoming a Legend (Kavanagh Legends #3) by Sarah Robinson to read and review. Oh my gosh! I love these, ladies! Thank you so much!! !